"Sleigh bells ring, are you listening?" 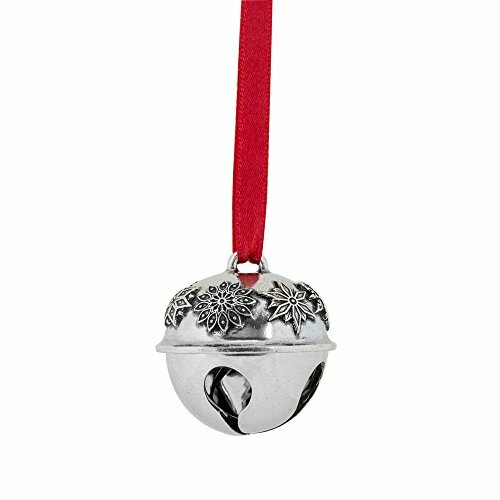 Celebrate the holiday season with our beautifully, detailed sleigh bell. The bell has a snowflake design around the top and hangs on a red satin ribbon. The soft jingle of the bell will be music to your ears. Measures 1 3/4 inches in diameter and comes in a gift box. Our sleigh bell ornament is made in our Middlebury, Vermont workshop. If you have any questions about this product by Danforth Pewter, contact us by completing and submitting the form below. If you are looking for a specif part number, please include it with your message.